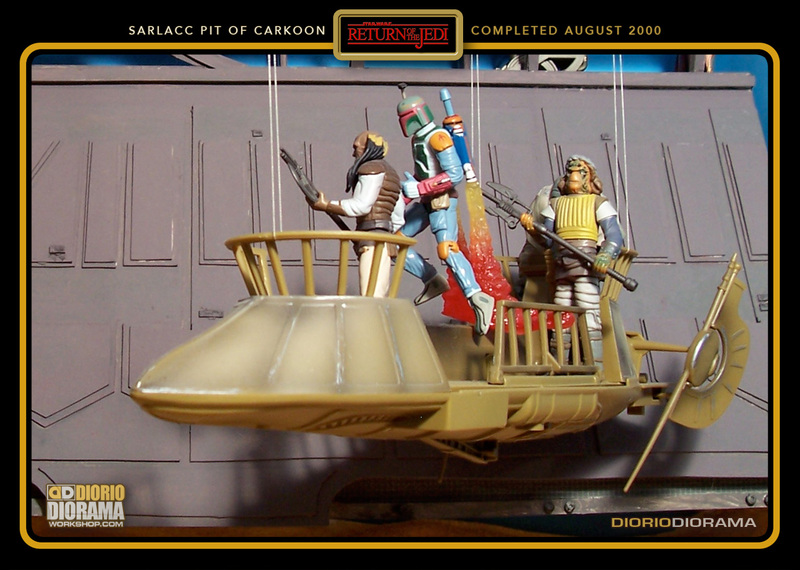 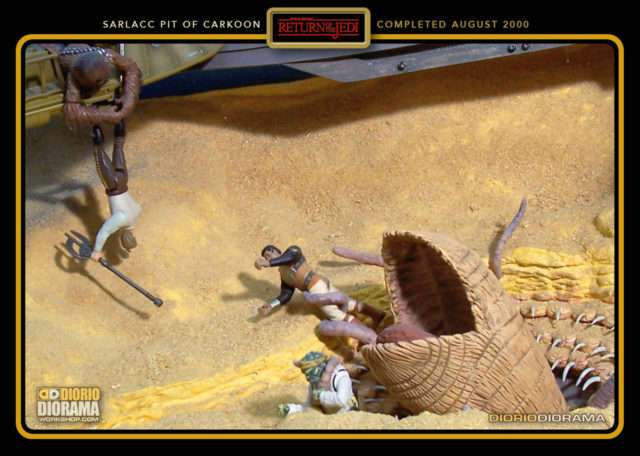 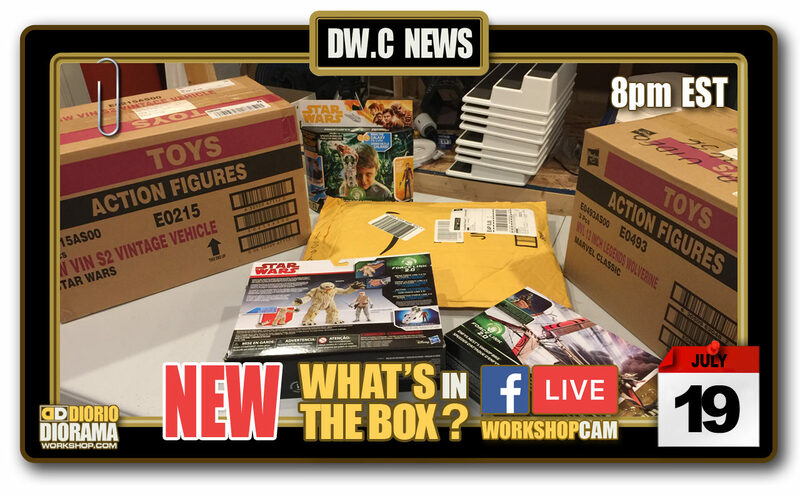 The main memory I have of this scene is doing the first version of Jabba’s Sailbarge, just the front half mind you to fit in the box, but it was a nice backdrop for the hasbro Skiffs. 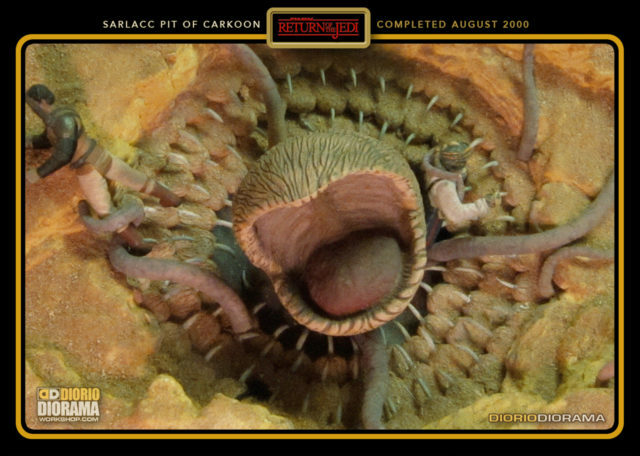 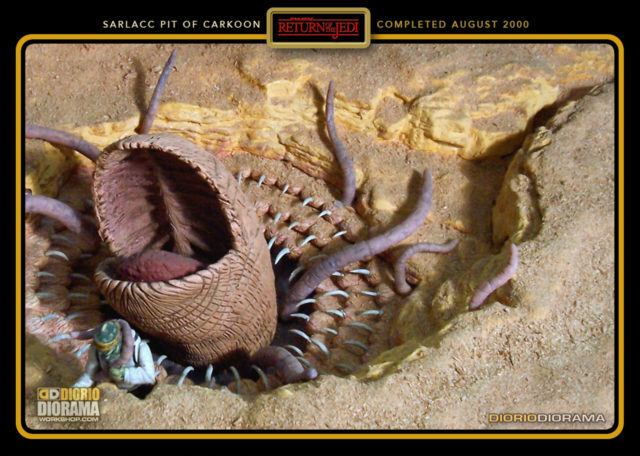 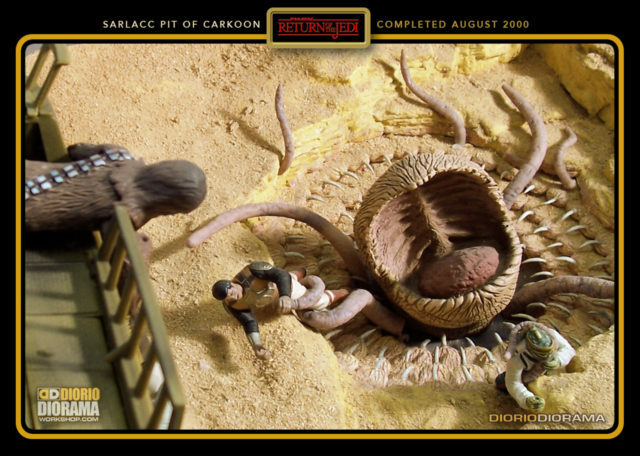 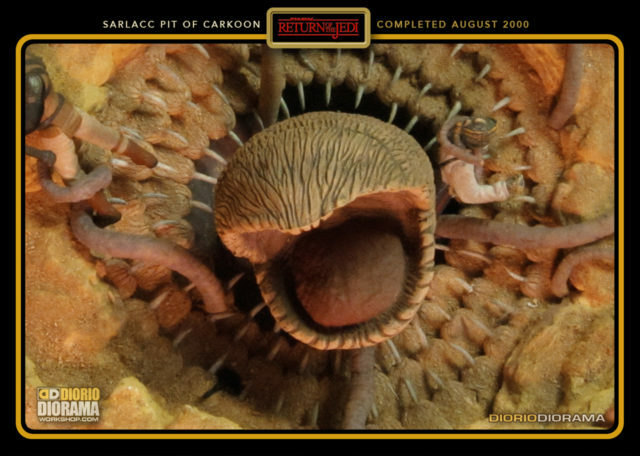 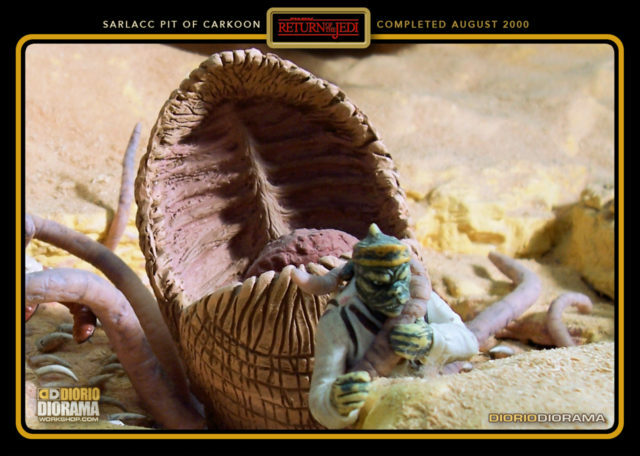 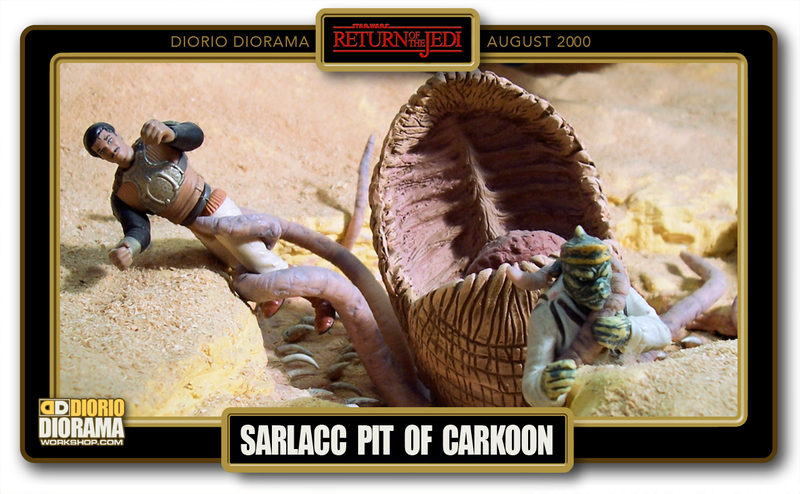 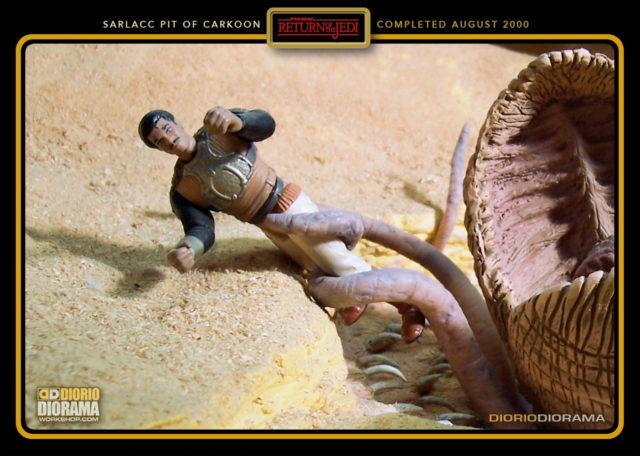 Also this was a fun sculpting experiment with the Special Edition Sarlacc Beak. 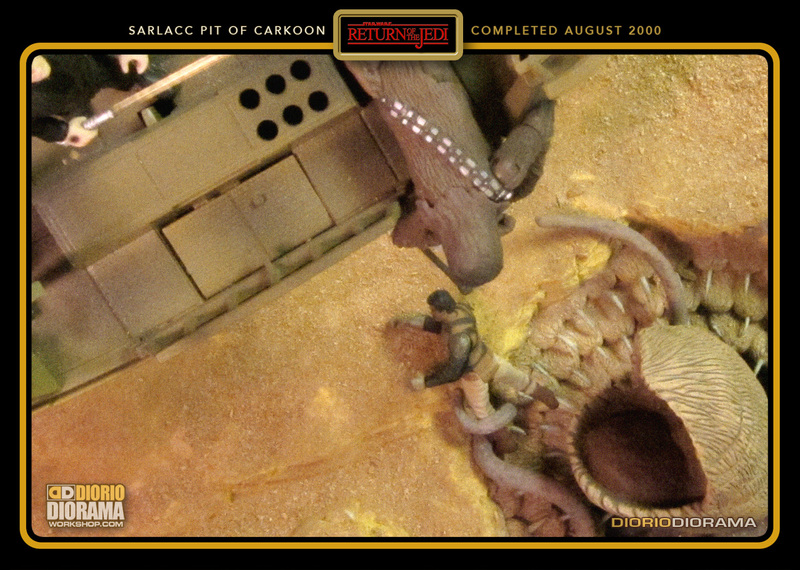 I sculpted it it plasticine and Super Sculpey then made a mold to be able to make copies. 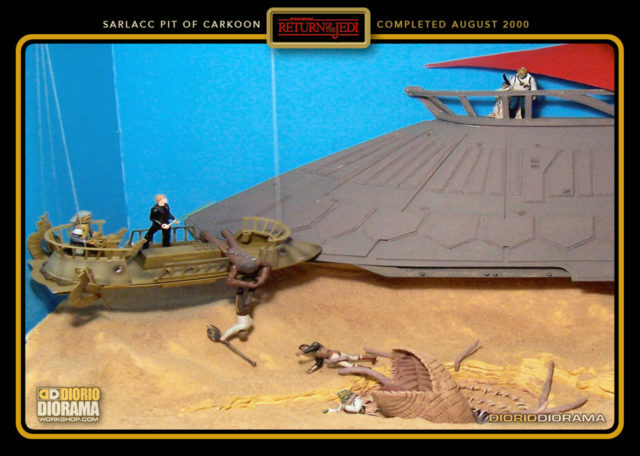 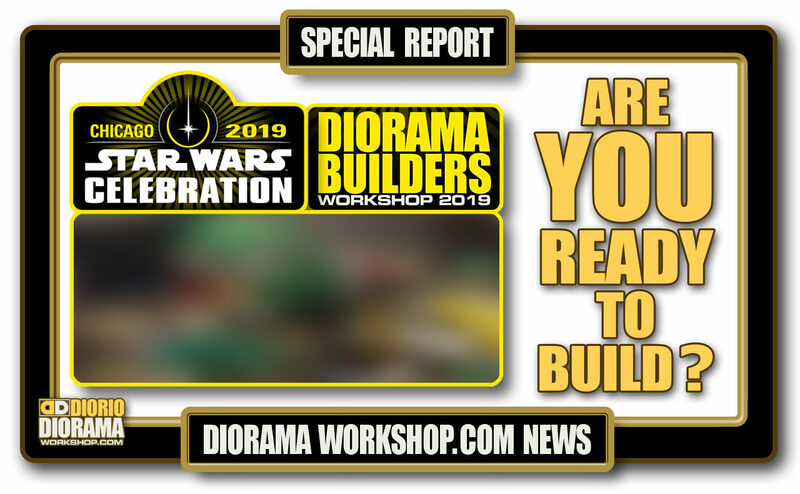 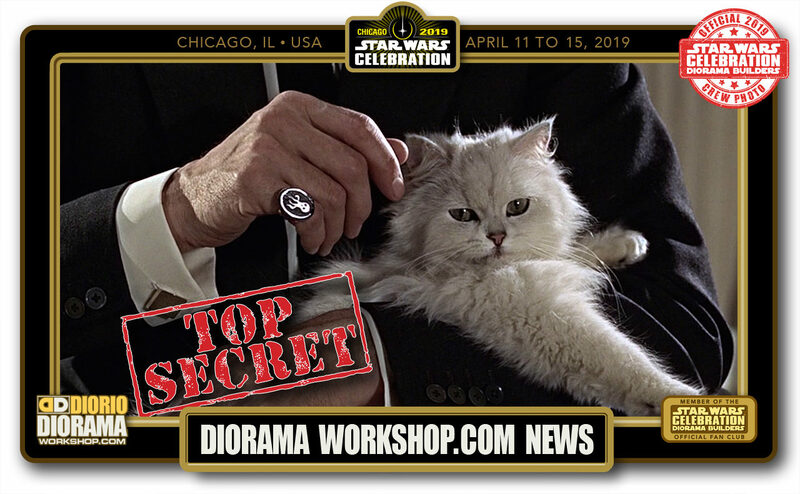 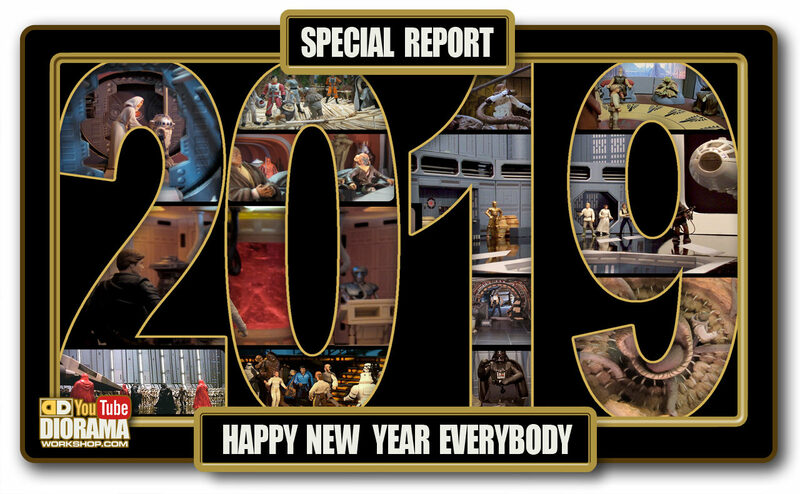 I left this original one back in Orlando 2010 after displaying it at our Star Wars Celebration VI Return to Tatooine Diorama Builders workshop, so I will have to make another when I rebuild this diorama again for home display.